As we all know very well that Alzheimer’s is an irreversible condition since the very beginning. The damage caused to the cognitive capability of the human brain caused by amyloid plaque deposits is incurable, and cannot he halted. Even the medications that are devised for slowing down the progression of this disease are effective in certain cases only. The incidences of Alzheimer’s is rising worldwide, with around 44 million people affected all around the globe. Moreover, the disease is most common in the Western Europe, with North America being the second most common region to be affected. Alone in the United States, the expenses for the treatment of Alzheimer’s disease were calculated to be $226 billion for the year 2015. Overall expenditure that goes for the treatment of this ailment on a worldwide basis appears to be about 1 percent of the whole world’s gross domestic products, that is, $605 billion. Today, about 5.3 million U.S citizens are alive with the Alzheimer’s disease, and if a cure is not found soon, then this figure shall go up to 16 million by the time we reach 2050. On the basis of an overall analysis, African Americans are found to be the most effected of all the races. 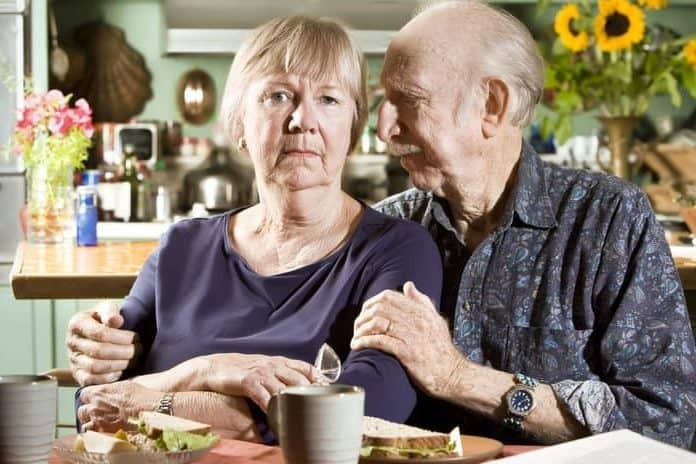 Although Alzheimer’s diseases is a collective term implied for cognitive impairment, dementia, as well as loss of several intellectual capabilities, there are other causes of ‘sole dementia’ as well, and Alzheimer’s accounts to make up 80 percent of those etiologies. Age is the greatest risk factor for this cognitive capability deteriorating ailment besides positive family history, but Alzheimer’s must not be considered as a part of aging. It is a whole disease that is attributed to several factors such as increased amount of amyloid plaque deposits in the brain parenchyma, that can occur owing to any reason. Moreover, tau proteins are also found in abundance in such patients, however they are not specific to the disease. The biggest withdrawal associated with this dementia producing disease is that, is it progressive in all cases, and cannot be halted or cured. Up till now, only research and hypothesis have been created that prove the efficacy of certain ailments in halting the worsening condition, but few of them appear to be beneficial when it comes to clinical practice. Mark Todd, who is a neuropsychologist at Cleveland Clinic Florida in Weston, stated that age is the biggest risk that is related to this disease. About one third of people who are above the age of 85 years are affected by this ailment. A positive family history boosts the probability of getting the disease by three to four folds. Todd further said that untreated conditions like sleep apnea, diabetes and hypertension also add to the risks of Alzheimer’s disease. Recently, a research has found that the IL-33 protein possesses the power of halting, as well as REVERSING Alzheimer’s disease. Well now that is a really big discovery for the sake of mankind. What could be greater than anything that can reverse Alzheimer’s and bring it back to point zero, where it never existed? Researchers from Glasgow University and from the Hong Kong University tested the hypothesis by injecting Alzheimer’s affected mice with IL-33 injections. The results of this lab test were utterly profound! There was a complete reversal in the symptoms and cognitive deterioration caused in the Alzheimer’s disease and that too within a course of days. This hypothesis have found to be working just in the case of rodents, and it is hoped that the same could be efficacious in the case of humans. Pre-clinical forms of a disease mean that the presence of related changes in the body before the manifestation of the ailment. In case of Alzheimer’s, the associated changes in the brain parenchyma before the onset of the symptoms is known as its ‘pre-clinical’ form. Detection of Alzheimer’s disease at this stage is more beneficial when it comes to halting or reversing the progression. The memory-associated symptoms occur when there is hippocampal atrophy and deposition of amyloid plaques and tau tangles in this part of the brain, whereas any pathology caused to the caudate nucleus produces difficulties with the navigational and mapping functions. Denise Head indicated that those subjects whose cerebrospinal fluid contained markers for Alzheimer’s disease, exhibited difficulty when they were required to present a cognitive map of the surroundings.